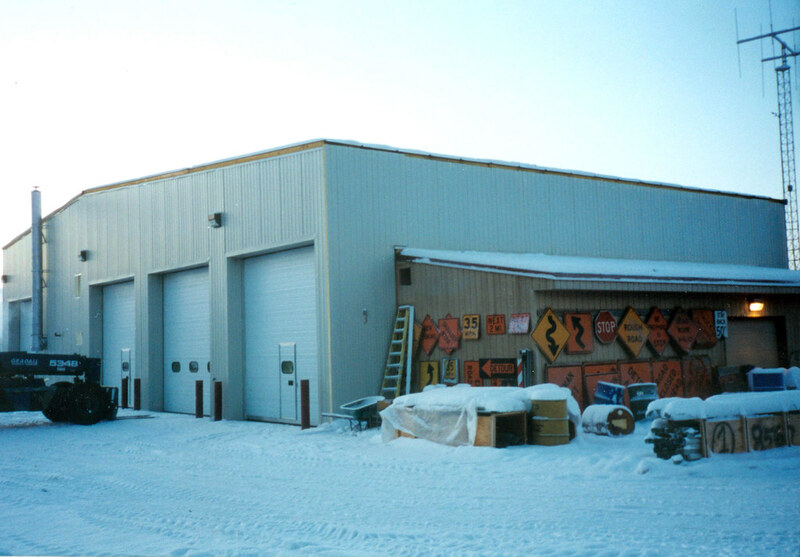 This State-owned highway equipment maintenance shop at Seven-Mile Camp on the Dalton Highway was originally constructed as a wood framed building. In December of 1995 it partially collapsed due to snow loads. PDC was asked to fly a structural engineer to the site immediately to assess the conditions. Following our recommendations, the building was demolished, and we were retained to prepared plans for a new building. The new building was constructed partially on the old foundation, although it needed to be enlarged because of the requirements for the newer highway maintenance equipment. We were asked to come up with a design that saved as much of the old foundation system as possible, as well as a storage shed that had been attached to the old building and was still in good condition. 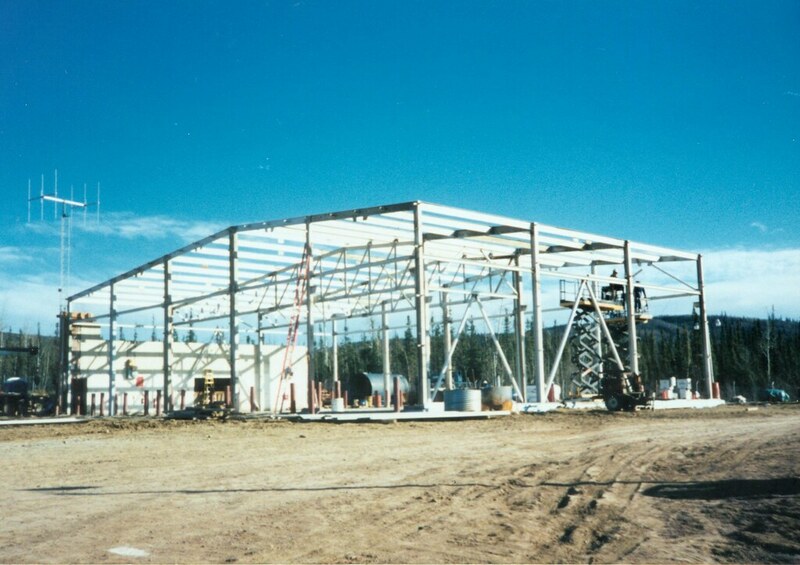 The new framing system chosen consisted of steel braced frames in one direction with a hybrid braced frame moment frame in the other. The hybrid frame allowed for the overhead door widths that were requested and still kept the maximum use of the existing foundation. There was no need for cross bracing along the doors, which would have increased the length of the building. 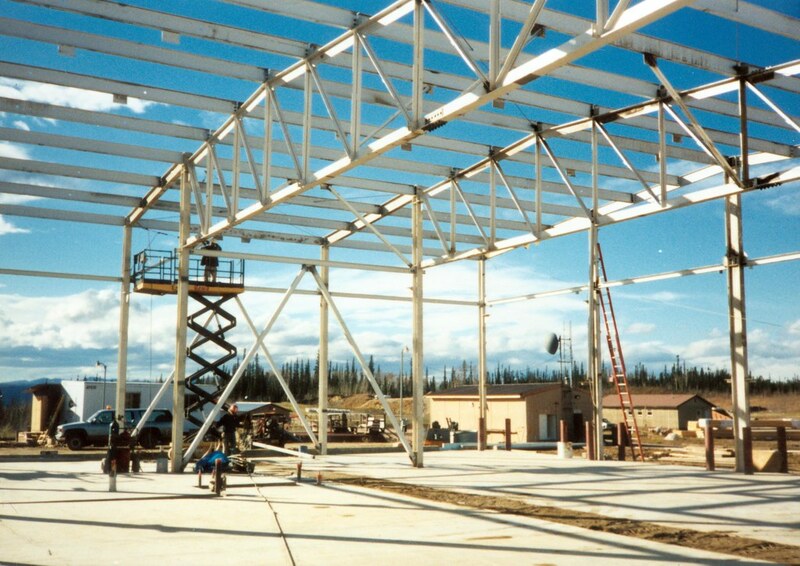 The roof was framed with efficient steel trusses and purlins that carried a standing seam roof. We decided early on that we would provide a office/parts room and toilet on the first floor. Above that we built a mezzanine for storage. The Mechanical and Electrical systems were standard to these kinds of facilities. We addressed the air handling needs of a maintenance shop with designs for vehicle exhaust, welding fume hoods, and general area HVAC systems.